Obituary for Irene Bogdanski | Wyman-Fisher Funeral Home Inc.
After over 92 years of living a life of love, grace and faith, Irene Bogdanski of Rockland County passed away on December 3rd, peacefully in her home. She is survived by her 3 daughters, MaryAnn, Martha and Chrissy and 6 grandchildren and 7 great grandchildren. She joins many family members in heaven, including her husband Joe, her son Joseph and her grandson Hank. Irene was loved dearly by her family and friends (old and new). 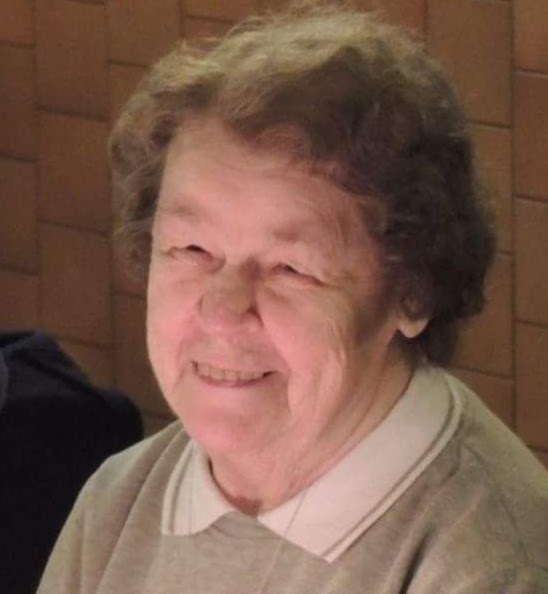 Her love of life and presence as the matriarch of the Bogdanski family will be missed dearly. We will always carry the memory of her in our hearts. at Wyman-Fisher Funeral Home Inc., Pearl River. A Mass of Christian burial will be held at 10 a.m. Friday, December 7, 2018 at Saint Aedan Church, Pearl River, followed by interment in Calverton National Cemetery. Irene’s favorite charity was the St. Jude’s foundation. A donation in her name will be a wonderful way to honor her memory.